Their world became his war! Across every frontline, and through every trench, Aric of Dacia continues his hostile journey through a brutal alien planet the only way he knows how: with war. 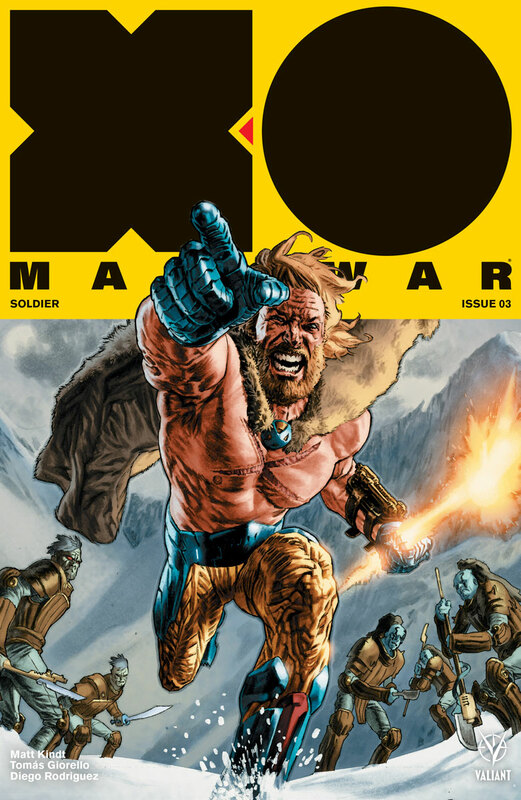 But the man once known as X-O Manowar is not alone. With a dedicated band of soldiers sworn to his side, Aric will prove his worth on the battlefield... and find himself in a position that no one saw coming! New York Times best-selling writer Matt Kindt and Valiant exclusive rising star Tomas Giorello bring the punishing first act to Valiant's biggest series of the year to its final stand-off... and will leave readers everywhere reeling with a last page surprise!